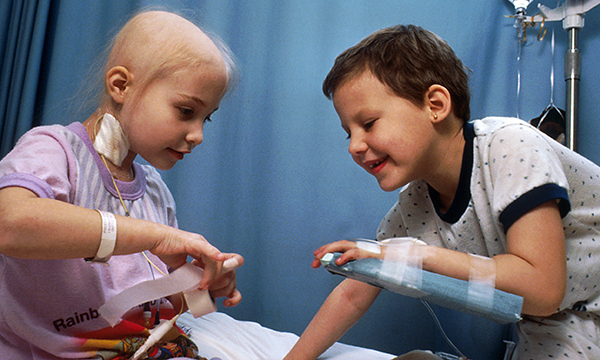 Children have started a groundbreaking personalised cancer therapy this week that has the potential to cure an aggressive form of leukaemia where other treatments have failed. Chimeric antigen receptor T-cell (CAR-T) is a revolutionary and complex type of immunotherapy which collects and uses the patients’ own immune cells to target their cancer in a process which is completed over a number of weeks. The tisagenlecleucel form of CAR-T, also known as Kymriah®, costs almost £300,000 per patient at its full list price and is licensed to treat people up to the age of 25 who have B-cell acute lymphoblastic leukaemia that is refractory, has relapsed post-transplant or is in a second or later relapse. The first children to receive the therapy will be at Great Ormond Street Hospital (GOSH), London. Royal Manchester Children’s Hospital is ready to start the treatment and Newcastle upon Tyne Hospitals NHS Foundation Trust is expected to join the treatment programme next month. NHS England expects to treat 15-30 patients a year. The National Institute for Health and Care Excellence has already recommended that the treatment is included in the NHS Cancer Drugs Fund, a source of funding for cancer drugs in England.